At a time when much of what we hear is doom and gloom, there are others who are doing incredible work to help people in need. One such initiative is a group of friends from Lancashire, UK, who have been quietly organising, fundraising and delivering considerable aid to refugees all over the world. Barfi Culture accidentally came across their work on Facebook and spoke to Amar Abbas, who is part of the group. They were just ordinary people, consisting of lawyers, business people, consultants and engineers he said. "We are a group of friends from Lancashire and Slough who've completed 13 aid visits from Greece, Palestine, Bangladesh for the Rohingya Refugees, to now Southern Turkey on the Syrian border." The group first embarked on aid deployment in December 2015 to Athens, Greece. They fundraise from their own networks and then personally deliver all the funds themselves. "We pay our own expenses and we’re totally volunteer led." To date the group have raised over £200,000 and recently returned from Reyhanil in southern Turkey, on the border of Syria. Their aim was to assist refugees who had long-term medical conditions and others in most need. After returning from his recent journey, Amar gave us a brief account of their time there. On reaching Reyhanil they visited an orphanage where they distributed sweets and paid for a day trip to the beach for the children and stocked their storeroom with enough meat and chicken to last the month of Ramadan. Seeing the excitement and the smiles on these children’s faces was a "priceless" moment for these volunteers, Amar said. Their next stop was a centre for those disabled due to injuries inflicted by the war. One was 3-year-old Zuhair, who was suffering from liver failure and in urgent need of a transplant. His tearful father explained they had travelled from Syria a few days earlier and had left his wife and two daughters behind. 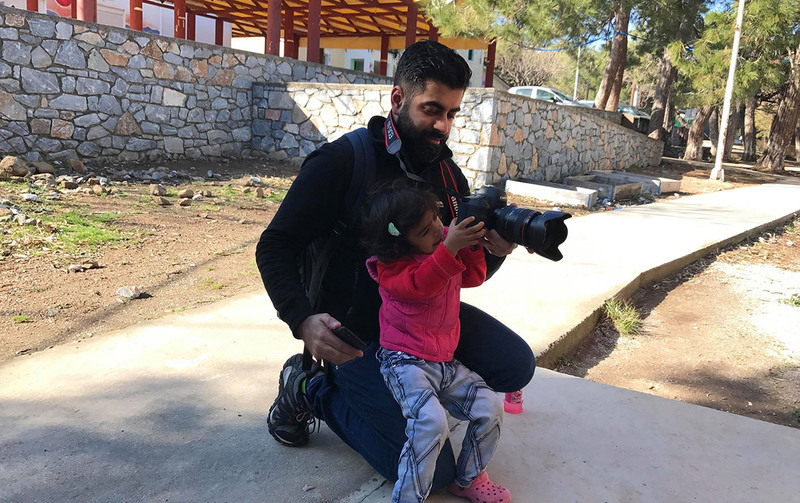 Amar and his fellow volunteers provided Zuhair’s father with essential supplies and toys for the little boy and committed to funding their support costs of seeking treatment for Zuhair. They also visited a support centre that housed victims of war with horrific injuries. One particularly traumatic meeting was with two 65-year-old parents who had four adult paralysed children they were looking after. Through donations, these parents have been provided with six months rent and food for Ramadan. The group also met Muhammad from a nearby city Adana, a 17-year-old who is the sole breadwinner of his family. He supports his disabled father, mother and six siblings and worked 16-hours a day for a mere £1. They sponsored his rent for two years as well as paid for the purchase of beds and a new sewing machine so the family can start a small business. Much of their work also follows up on earlier initiatives they had supported, to ensure follow ups and provide transparency to their donors. Amar said there are a mix of emotions. "From anger, empathy, anxiousness, complete disparity to hope and humanity. We recognise the global scale of the issue at hand, often fuelled by geopolitics and historic conflicts, almost always beyond our control." "So we quickly come around to the matter at hand and fundraise and provide essential food, water, clothing as well as educational materials for those most in need. "Ultimately we come back with gratitude for all that we have in life from Allah. We use these memories to motivate us to do more in our small contribution." Amar poignantly sums up his experience: "The few days we spent on the ground was a small contribution towards the huge scale of need. However, it is important to note that every contribution is an important part of the jigsaw."